All of these pictures are PORTRAITS. Gutmann’s artistic style is REALISM. The softness of the pictures is due to the MEDIUM Bessie Pease Gutmann used. 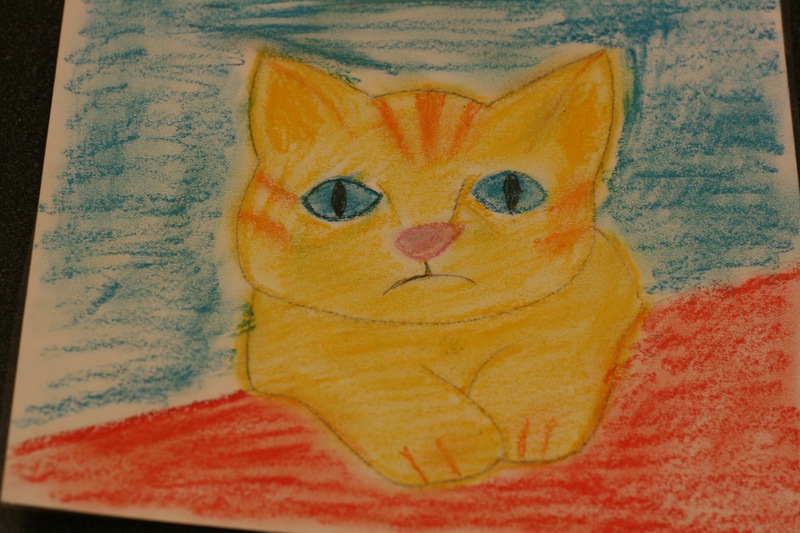 Most of the coloring uses oil pastels. This packet is the only one that uses the medium of oil pastel. It would be a great opportunity to try this (new) medium with the kids. Drawings colored with chalk could also achieve a similar soft look. Discuss EMPHASIS in these pictures. The child is the FOCAL POINT in each of the portraits and there are not many additional details. Discuss what the artist did to create the MOOD for these pictures (COLOR, light, subject, medium, and perspective—the artist focuses on the kids instead of the larger room around them). Discuss the types of feelings the soft colors used in the pictures might suggest to the viewer. The SPACE in these pictures is shallow—the children are close up, they fill the entire picture so that there is no MIDDLE GROUND or distant BACKGROUND. Be sure ALL 12 pictures are returned to the Packet Carrier after your Presentation is finished. Bessie Pease Gutmann (pronounced Goot-man) was born in 1876 in Philadelphia, Pennsylvania. Bessie grew up in Mount Holly, New Jersey. 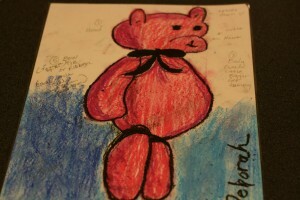 She was determined very early in life to become an artist. Bessie studied art at the Philadelphia School of Design for Women and later moved to New York to attend classes at the Art Student’s League. Thoroughly a woman of her time, Gutmann was very determined in what she wanted to accomplish. She felt that her family came first and her art second. Bessie raised her children and ran her home while she continued her successful career and produced more than 600 works of art. A successful career as an artist, as well as a successful wife and mother, was very unusual for a woman living during the times of Bessie Gutmann’s life. Bessie was comfortable using every medium, including watercolors, oils and pastels. Her three children—Alice, Lucille and John—as well as those of neighbors, relatives and friends were a constant source of inspiration to Gutmann. 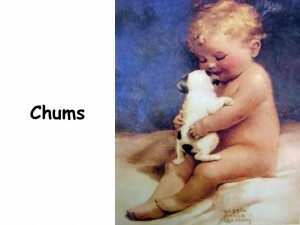 Plump babies and mischievous young children reflected Gutmann’s happy home life. She sketched so skillfully with charcoal, pastel and regular pencils that she could finish a complete piece in one sitting. Most of Gutmann’s original art has disappeared today because it was originally created for the print trade and no one really considered trying to save it for the future at the time it was created. Bessie would start each print with a tiny sketch on a scrap of paper, sometimes as small as 1¼ inch by 1¼ inch, or the size of a small postage stamp. After creating several tiny, rough sketches, Bessie would choose the best interpretation and then draw a full-size sketch. The full size sketch led to a color drawing or a painting. Until the invention of the color lithograph, in the mid-1930s, Gutmann would do a sketch of her finished color drawing or painting without filling in the color. The first printing created of this drawing was then sent to a “colorist” to be hand-painted, following Bessie’s directions and suggestions. A finished proof was then sent back to her for approval before the final printing. Agents who received the sketches, accompanied by a colored sample, even during the two World Wars, did the marketing of her work in America and overseas. Because the pictures were marketed this way, Bessie’s most famous prints, “Awakening” and “A Little Bit of Heaven” were found paired, not just in American homes, but in homes all over the world. Gutmann stopped painting in the 1940s, when her eyesight began to fail. Her husband died in 1949 but Bessie lived until 1960 and died at the age of 84. • Pass out paper with a 1½” square printed on it. Explain that this was the size of paper Bessie used to draw her rough sketches. Draw any type of picture inside the square, using very sharp pencils. 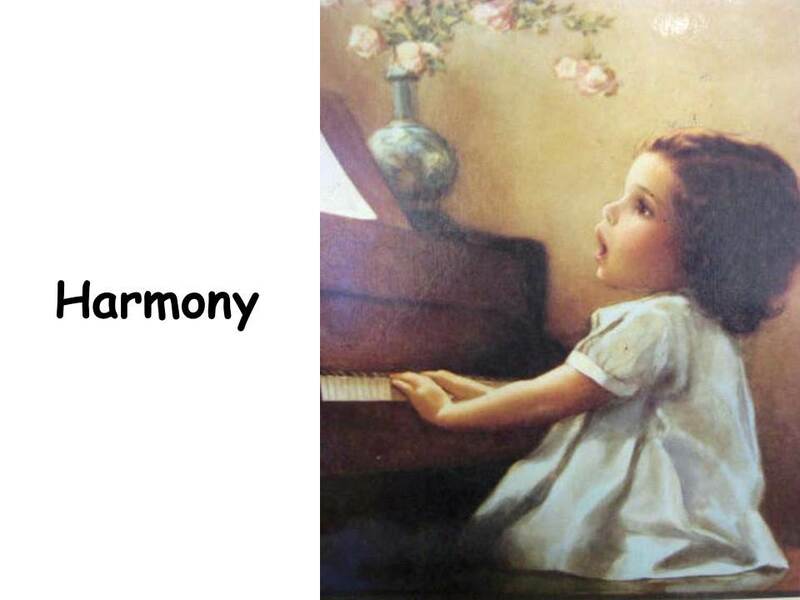 • Write a story about one of the pictures or a story about a childhood memory. Draw a picture for it. • Create a “Little Ones” collage. Bring in catalogues and baby magazines. Cut pictures of babies, toddlers, toys, diapers, bottles, sleepers, booties, etc. • Create a paper doll with extra clothing. 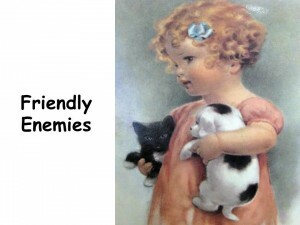 • Bring in baby photos of yourself (or your children) to show the class—they will love it! • Bessie Pease Gutmann (pronounced Goot-man) was born in 1876 in Philadelphia, Pennsylvania. • Bessie knew early that she wanted to be an artist. • In 1903, Bessie started work in the advertising department of the printing firm of Gutmann & Gutmann. Several of her prints were instant successes. • In 1906, Bessie married Hellmuth Gutmann, one of the two Gutmann brothers. • Throughout her career, Bessie produced more than 600 works of art. • Many of her works started as a tiny sketch, about the size of a postage stamp. • Bessie would then choose the best one and finish the picture in one sitting. • Bessie was comfortable using many different mediums (art materials). • Until the invention of the color lithograph, in the mid-1930’s, Gutmann’s printed sketches (line drawings, like a coloring book picture) would be sent to a “colorist” to be hand-painted, following Bessie’s instructions. 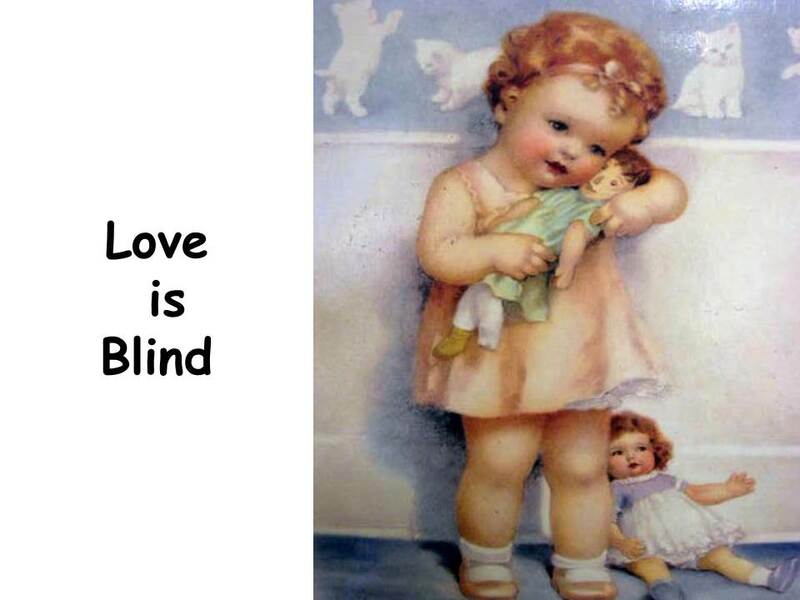 • Bessie Pease Gutmann stopped painting in the 1940’s, when her eyesight began to fail. • Hellmuth Gutmann (Bessie’s husband) died in 1949. • Bessie died in 1960, at the age of 84. Greet the awakening baby boy. So much to learn, to live, to do. 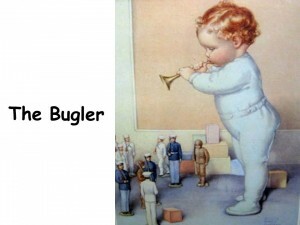 This is one of Bessie Pease Gutmann’s most famous prints illustrating scene from childhood. What does the artist do to make the painting look so soft? The light blue color of the blanket, and the shadows that show wrinkles on the blanket and sheet, are very pale. Do you think of softness when you think of babies? Babies have clothes that are usually extra soft to protect their soft, delicate skin. When babies are very young they need to be handled gently. 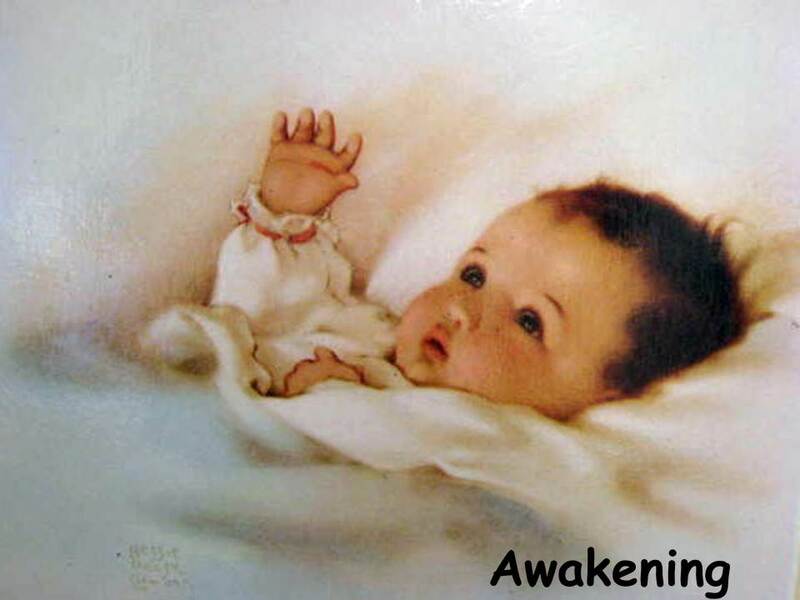 Why do you think the artist named this picture AWAKENING? The baby is awakening from sleep but the artist might also have meant something symbolically. The baby is young and just beginning on the journey of life. The picture might represent awakening to life, the future hope of parents, future possibilities. 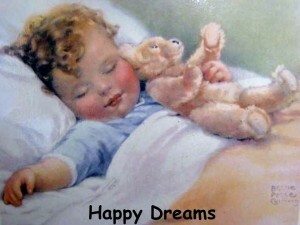 What do you think babies dream about? It’s very near your bed. Where you rest your sleepy head. When close shut your eyes? and hug you Teddy Bear. Sweet dreams will take you there. Do any of you have a baby brother or sister? What is this sleeping baby holding? Don’t babies seem more snuggly and soft when they are sleeping? Some babies won’t hold still when they are awake—they are too busy discovering the world. Babies are quiet when they sleep—they aren’t crying or yelling. Have you ever curled a sleeping baby’s hand around your finger? There’s something very warm and snuggly about that. What kinds of happy things do you dream about? So Peter treks his way toward bed. Step by step, one at a time. He races Peter down the hall. “All right, you two, now go to sleep. They’ve already closed their eyes. They’re in the land of Lullabies. Can you remember when you were little enough to wear footy pajamas? Babies have to begin climbing stairs by crawling up the stairs. Babies do not have as good a sense of balance as big kids like you guys. Babies would probably fall and get hurt if they tried walking up the stairs the first time. It takes time for babies and toddlers to get enough confidence to walk up the stairs. The picture seems to have more colors because the artist used various COLOR VALUES. 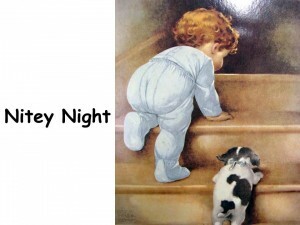 The steps are shadowed with dark brown (shadows of baby and puppy) and the top of the stairs is shadowed with dark brown. There are various VALUES of color on the steps. Can you see the HORIZONTAL LINE of the LIGHTEST VALUE along the top edge of each step? A MEDIUM VALUE colors the front of each step and a darker MEDIUM VALUE shadows beneath the edge of the step. The steps are created with a variety of VALUES of the same COLOR. The puppy’s spots are the DARKEST VALUE. Do any of you sleep with your dog or your cat? This dog is just a puppy. Jake has short legs like the little boy and is just learning to climb the stairs too. Why do you think Peter is so far ahead of his dog, Jake? Peter has longer legs than Jake does. What do you think Peter’s parents have told him? That it’s time to go to bed. He’s obeying his parents and heading to bed. Some kids take a long time to get themselves to bed at night. Does it take you a long time for you to get to bed or do you go to bed quickly, like this little boy? Do you have any nighttime routines that your family does every night when you go to bed? Some parents read stories, mom or dad might come in to kiss or hug you goodnight, or tuck you in. Some kids get to read for a few minutes, in bed, before their parents turn out the light. What about brushing your teeth, taking a bath or shower? Any other routines? • Sometimes dreams are silly and don’t really make sense. Sometimes there are many silly looking creatures in dreams. Sometimes dreams tell a story and sometimes we can only remember parts of our dreams. Draw a picture of the best dream you ever had. If you can’t remember a real good dream, use your imagination and make up a dream to draw. Create some very crazy or wild characters or a strange place for your made up “daydream”. And she gently pawed his knee. Of sweet and tender sympathy. “We share our games and smiles. Can you find HORIZONTAL LINE in the picture? VERTICAL LINE? How many COLORS did the artist use? Does your dog ever come to you when you’re in trouble? Have you ever felt like your dog was your best friend in the world? People aren’t perfect. They often make mistakes or bad choices. Even grown-ups make mistakes. EVERYONE makes mistakes sometimes. When we are children, we learn how to make choices and when we make a mistake, we can learn from our mistake. If we remember our consequences for a bad choice, we might keep from repeating the same mistake again. We can make a better choice the next time. 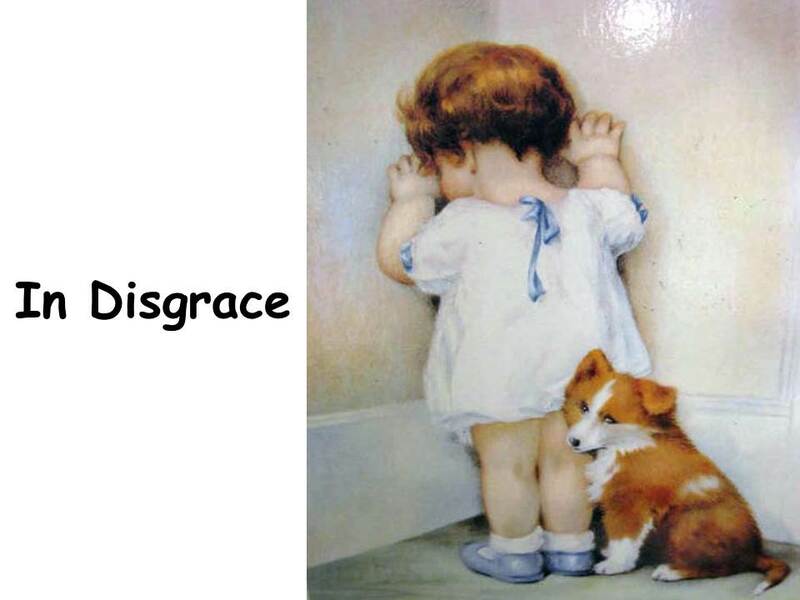 • Do you remember a time you were punished by standing or sitting in a corner? Draw a picture of what you did to get in trouble. Put a title under it that explains what happened. With Bessie’s point of view. The corner’s occupied by two. 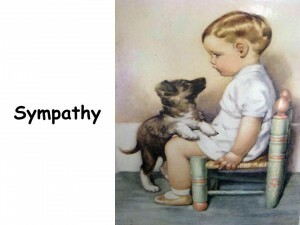 Compare Sympathy and In Disgrace side by side. How are the two pictures similar? How are they different? Have any of your parents ever thought they would teach you a lesson by sending you to the corner, like this? Do you think Bessie and Jason might feel a little better knowing their dog is there with them? in his highchair, or is it a throne? it’s from here that he lets them be known. and Mama tries most hard to please. might I serve you some lovely peas? Will he act like a tyrant and start a great scene? Will he make of his food a grand mess? at each meal, it’s anyone’s guess! Do any of you have little brothers or sisters who eat dinner in a highchair? Do any of you have pictures of yourself eating in a highchair? Are your face and the front of you dirty with food? This little boy is dressed all in white. He looks so clean. He isn’t eating anything yet. Do you think this picture would have been as interesting if the blanket and the highchair were also white? 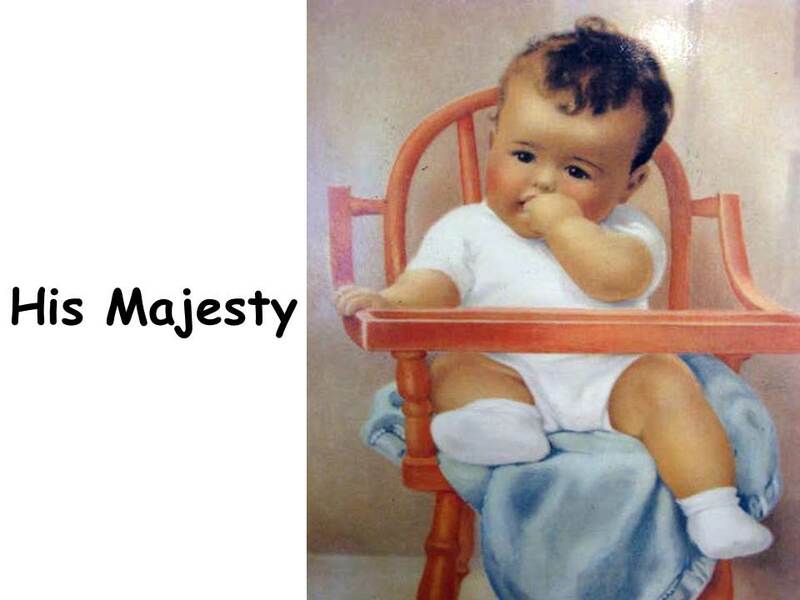 No, there are many VALUES of white in the picture but the two additional colors of the highchair and blanket add interest and draw our attention into the picture. How do most babies look when they are eating in their highchair? 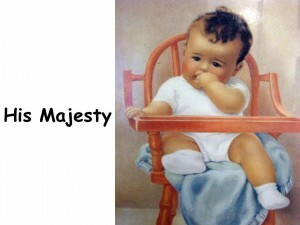 • Draw a picture of a baby or yourself as a baby, eating in a highchair. What does the ground under the highchair look like? What does the baby’s face look like? Don’t forget a bib! and what do you think hopped on out? squealed at Tommy and leaped right up! they loved each other, dog and boy. If the class becomes distracted with snickers and giggles because this baby is not wearing clothes, point out that Bessie was a “proper” Victorian lady and she made sure that nothing in this picture was “improper”. The puppy hides anything that would be embarrassing. People during Bessie’s time would never have allowed the painting to be sold if there were anything indecent or shocking about it. How many of you have a dog? Have you owned your dog since it was a puppy? Do you have any photographs or videos at home of you with a pet when you were very little? • Draw or paint a picture of you with your pet when you were a baby. • (3-5) Create a dog or a puppy using cut paper. Create the entire animal—eyes, nose, spots—using cut paper only. • Make ANY kind of pet using cut paper—gerbil, hamster, cat, parrot, snake, lizard, turtle, etc. If you don’t have a pet, create the pet you WISH you had. Bring in picture examples of various types of pets for inspiration. at least that’s what folks say. a bone that he can bite. as Mandy starts to meow. and drowns out Mandy: BOW-WOW-WOW. and scratched behind their ears. they’ve all they need; they’re fed and loved. How many COLORS can you see in this picture? 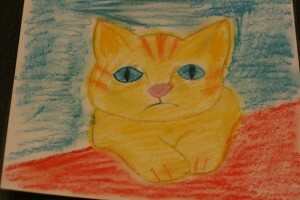 Draw pictures of cats and/or dogs and paint them with watercolor. to little Lizzie’s music room. What is the girl in this picture doing? Do any of you play the piano? Do any of you like to sing? Where can you see VERTICAL LINE? HORIZONTAL LINE? CURVED LINE? • Bring in a vase with flowers. Draw and paint this Still Life arrangement. Explain that a Still Life is a type of painting showing inanimate objects—things that are not alive and do not move—usually arranged on a table (with a tablecloth). And some are better dressed. 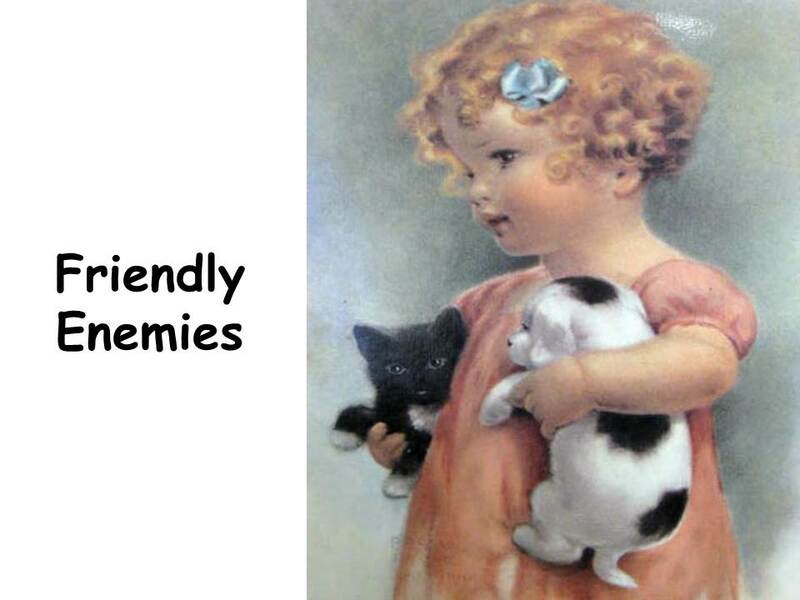 But I think old friends are best. You cheer me when I’m glum. I know that you’re my chum. When I wake up each morn. This picture tells us a story. Look at the clues carefully and see if you can figure out the story. What is happening? What does the title have to do with what is going on in this picture? The cloth doll the girl is holding has a missing foot. She is probably old and is not as glamorous as the doll on the floor. The girl snuggles the cloth doll and seems to love the cloth doll best, although the doll has a major imperfection. The girl does not seem to care if the doll has a broken foot. Do any of you have a favorite doll, stuffed animal or a favorite toy? • (K-1) Create small yarn dolls with the kids. These can be made as boys (with legs) or girls (with a dress) by simply cutting the bottom yarn and letting it dangle or by tying the yarn into legs. Give each one a small ball of yarn and a piece of cardboard to wrap the yarn around. Show a finished yarn doll and create another one step by step with the class. Check if other parents have yarn they might donate for this project. • Bring in a cloth doll or an old doll that has been loved a lot and is missing parts. Draw and color or paint a picture of the doll. She does things on her own. And set the supper table. And combed her curly hair. Then chose what she would wear. The button through its hole. How did the artist create VARIETY and interest when she used only two COLORS? There are a variety of VALUES, which gives the viewer the impression that more than two colors were used in the picture. Point out the various light, medium and dark COLOR VALUES used in the picture. 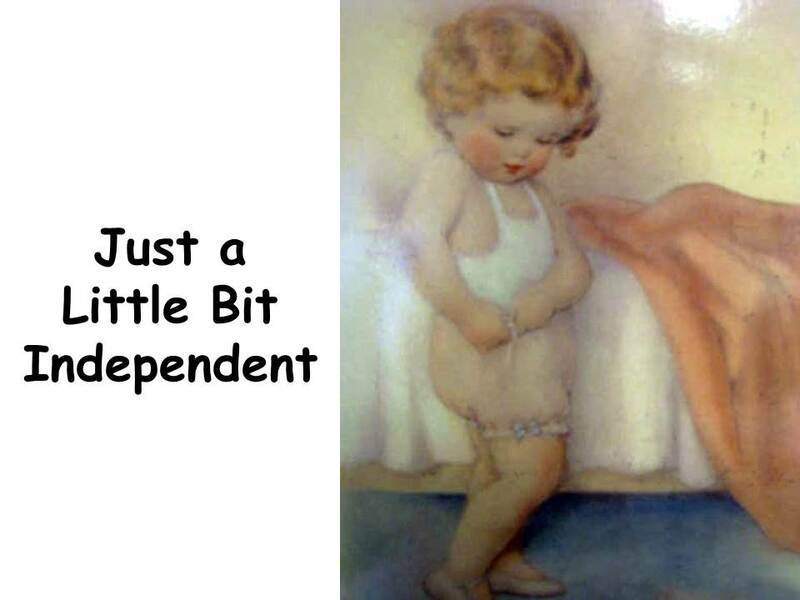 When Bessie Pease Gutmann made this picture, little girls wore underwear that usually buttoned or tied. They didn’t use elastic to hold their underwear up. These were called bloomers. How many of you can make your own bed? Is that one of the jobs you do at home? How many of you can set the table? What other kinds of things can you do around the house, now that you are older? What’s going on in this picture? What kind of toys do you see? Can you find Navy Blue Color REPEATED in the picture? The jackets of three soldiers who stand in a DIAGONAL LINE. 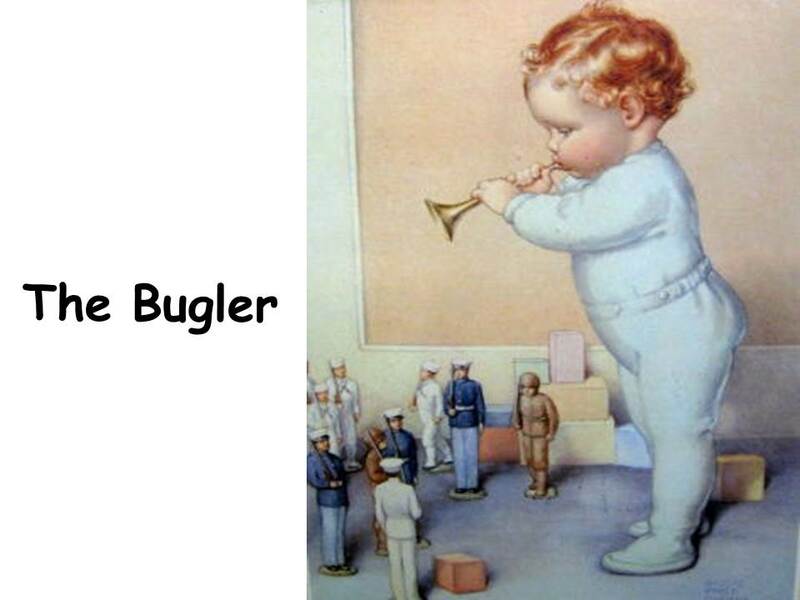 REPETITION of this COLOR leads our eyes to the bottom left corner and back towards the baby blowing the bugle. This is a way the artist creates MOVEMENT. The artist gets us to move our eyes and look at all of the toys in front of the baby. The REPEATED SHAPES and COLORS of the various other soldiers (two brown) and sailors (several white) also cause our eyes to MOVE around the picture and look at all of the toys. • Bring in some toys (some that appeal to boys and some that appeal to girls). Find toys with simple lines and shapes so they are easy to draw. Have kids work in pairs or groups to draw or paint a toy or a Still Life arrangement of several toys. • Recreate one of the toys using only cut construction paper. • Make toy soldiers using peg style clothespins. Glue on wiggle eyes. Paint a red dot for a mouth, using tip of a toothpick. Use a felt pen to make a dot for a nose. Paint on clothes or use felt or construction paper. If it is close to Christmas time, kids could make hanging ornaments with their soldiers. Thin gold, silver, black, or red ribbons make nice trim accents. A little metallic gold paint, applied with a toothpick, will make shiny buttons. Make a sample soldier ahead of time for the kids to see.